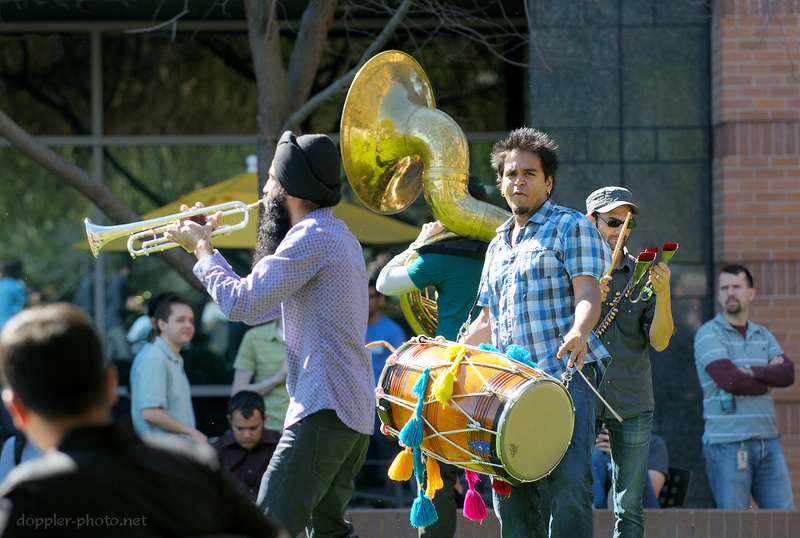 A few weeks ago, the NYC-based bhangra/funk band Red Baraat came to visit us at the Googleplex during their West Coast tour, which was centered around a performance at TED. 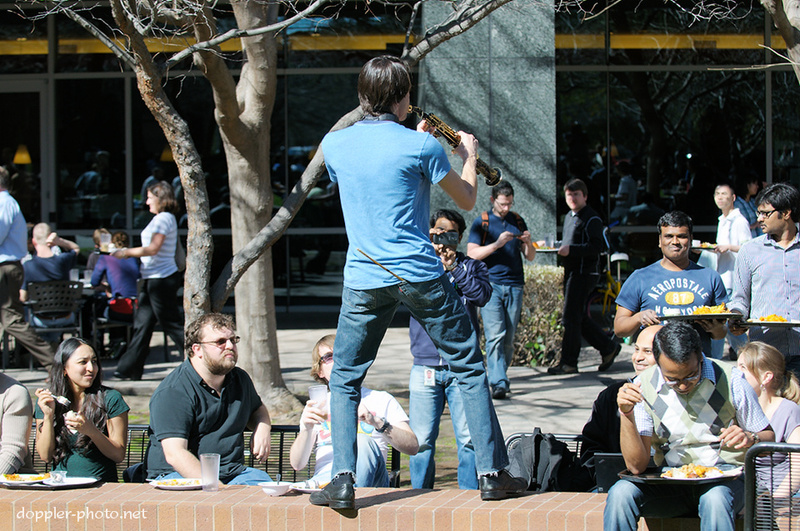 At Google, they played outside of the BigTable cafe, raising a euphonious ruckus and generally doing their best to get folks on their feet at lunchtime. 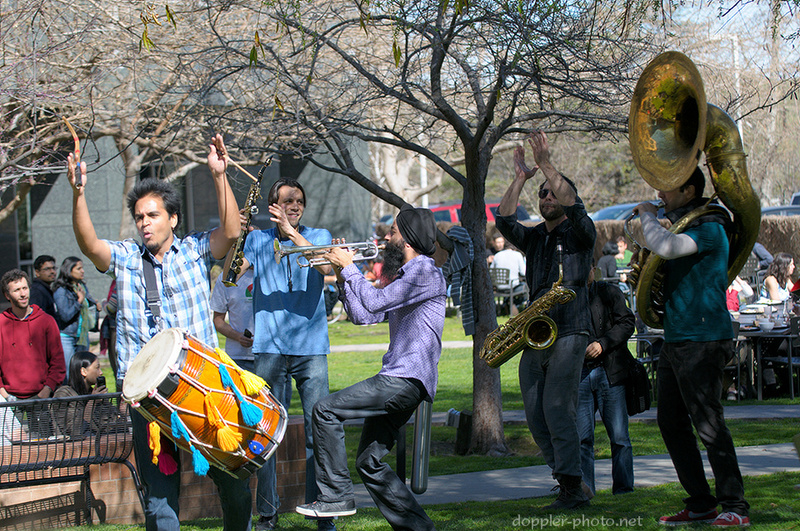 Above, bandleader Sunny Jain (left) and other members of the band clap as trumpeter Sonny Singh plays a solo and dances. 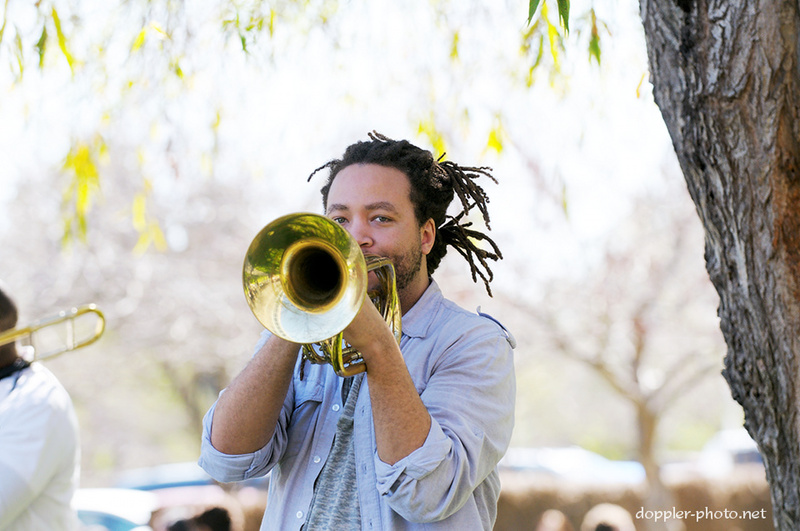 MiWi La Lupa (Michael Williams) glances at the camera while playing the bass trumpet. 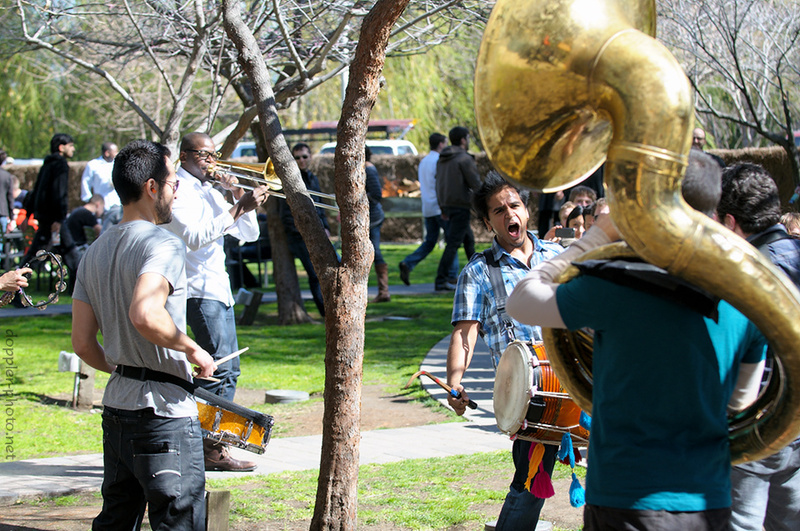 Jain plays the dhol and looks toward the camera as the bandmembers romp around the courtyard. Soprano saxophonist Alex Hamlin plays a boisterous solo from atop a retaining wall, mere inches from audience members' plates. Jain sings and shouts as the band regroups near the conclusion of one of the songs.